For example, cheetahs do not have to be taught how to hiss, it is an instinctual behavior. On the other hand, while bears are often known for their fishing ability, this is actual something their mother needs to teach them. So now let’s put you to the test… How well are you able to tell which behaviors are instinctual and which are learned? Do bears learn to hibernate or are they born knowing how? Answer: It’s a learned behavior! For a bear to be able to go through hibernation, they have to be taught by their mothers. Bears in the wild receive cues from the environment such as the changing of light, temperature and food availability to help signal the time to hibernate. If all the bears needed were the cues from the environment, then all bears in captivity would be able to hibernate, but that’s not the case. Because hibernation, or torpor, is learned, captive bears are often unable to hibernate because they were orphaned as cubs; they didn’t get to learn how to hibernate from their moms. Our brown bear boys Mak and Oso are a great example of two cubs who weren’t able to learn how to hibernate before becoming orphaned. Fortunately for them, our brown bear girls, Claire and Russel, were able to learn before being orphaned and they have been able to help show Mak and Oso how it is done… and it only took three winters. Are lions born hunters or do they have to learn to hunt? Answer: Lions have to learn to hunt! It’s not much fun for the prey animal- we’re all animal lovers here and we never want to see an animal stressed. The lions were not taught what to do with the live prey – they may never get to eat if they had to catch it! Although it seems natural for them, if we put a live animal in with the lions they would pounce and play with it like a toy and because they are large animals, they may actually kill the prey. That being said, there is no guarantee of what would happen with the introduction of live prey because our lions weren’t taught to kill and then consume. Do cheetahs have to learn to to run? Cheetah’s, just like humans and many other animals, are born with the instinct to sleep, to walk, and to run. They don’t need to learn this from a parent. An orphaned cheetah in the wild, or a human raised cheetah cub in captivity will automatically do these things. 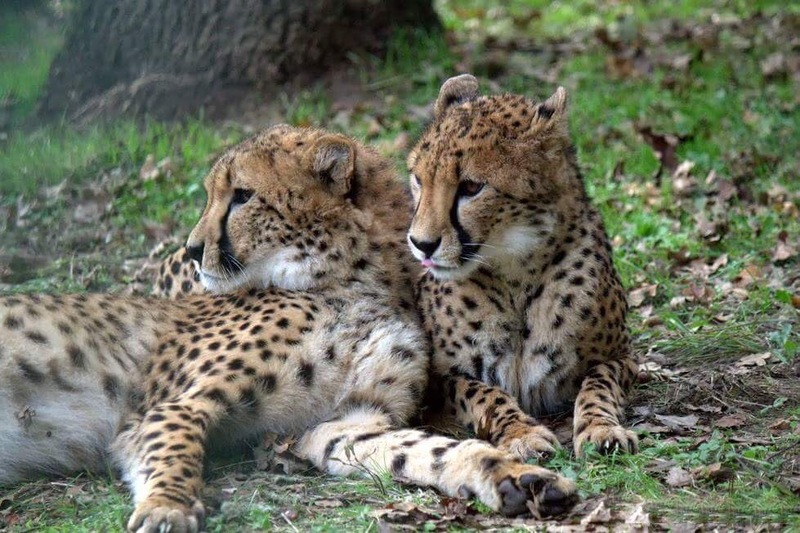 At Wildlife Safari we have our very own hand-raised cheetah ambassadors: Pancake, Khayam, and Mchumba. We love taking them for walks! Every morning, before the park is open to visitors, the cheetah keepers give their animals a chance to stretch their legs. The gates to Cheetah Drive-through are closed, and a different cheetah everyday is let out into that space to run around! The cheetahs love it, spending their time sniffing new things, exploring, and of course: finding a new spot to nap – they are cats after all! To make sure they stay safe, and keepers know where they are, a volunteer is always watching them from inside their vehicle. 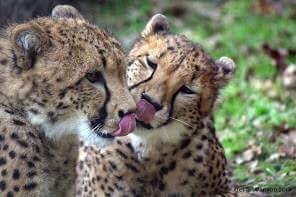 The reason we let out one cheetah, or a pair if they live together, is because cheetahs are normally solitary animals and may get upset with each other if they had to share a space. Our cheetahs are quite happy taking turns though, especially since winter brings yet another fun space to play in: the Brown Bear Drive-Through. 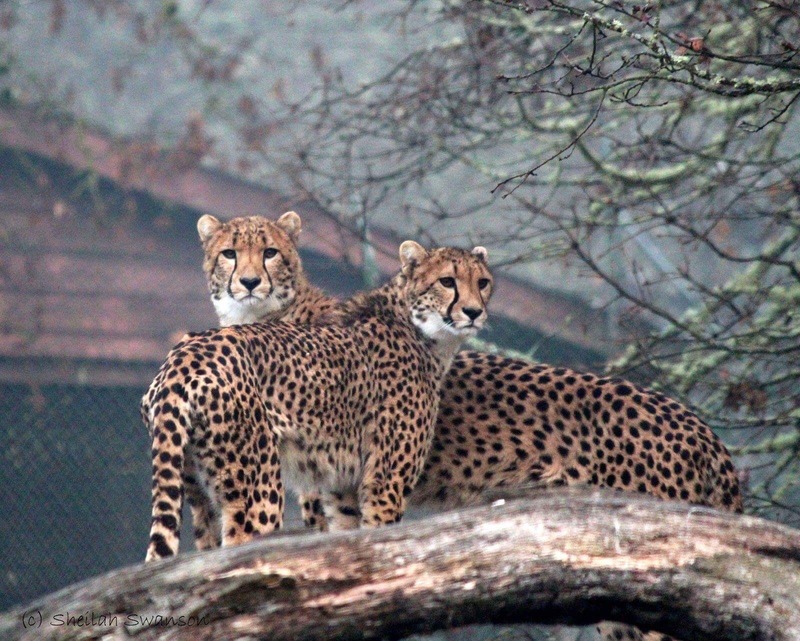 Since our bears are hibernating inside, keepers are able to take cheetahs out there for the day. 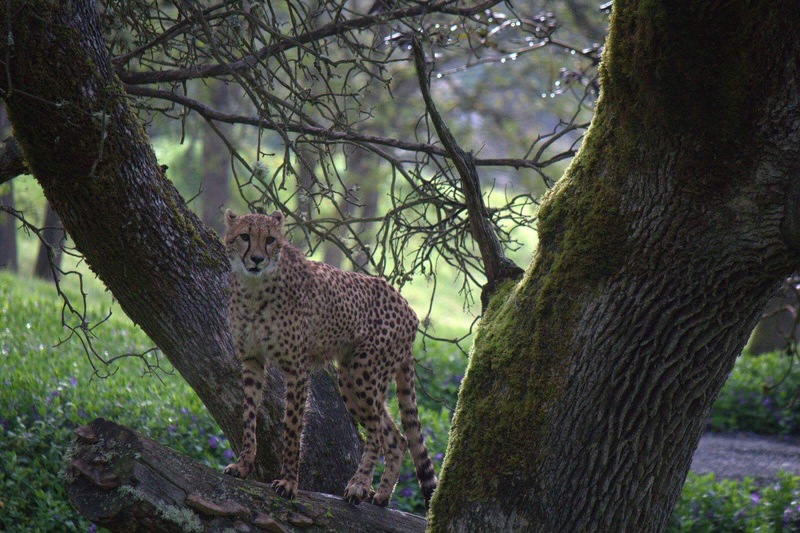 Soon our cheetahs will have even more chances to run as a lure course is currently under construction. 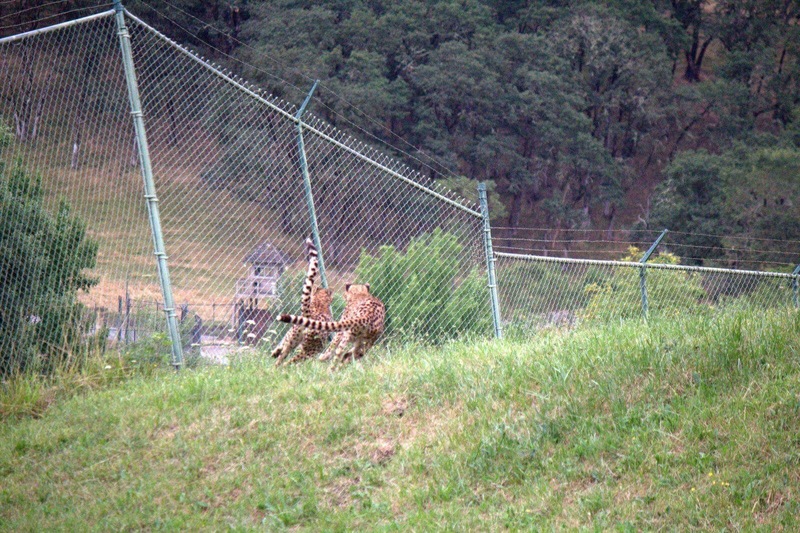 This will also allow visitors to see our cheetahs running as fast as they can!